Hoffman Law Group is a full-service real estate law firm that specializes in providing owners, landlords, and property managers with results-driven, cost-effective eviction solutions. As a business owner and landlord himself, Attorney Kirk Hoffman understands that time and money are the lifeblood of any successful business. To stay profitable, business owners must reduce risk and conserve resources. Kirk and his team work hard to build long-term relationships with landlords, owners, and property managers throughout the state by offering speed, accessibility, and cost-effective rates in residential and commercial unlawful detainer cases. The eviction process in California is a creature of statute – and the rules are strictly construed against the landlord. Thus, attention to details is critical to success. Property owners who fail to observe the proper notice requirements are unlikely to prevail and likely to increase the risk of additional problems, including suits for retaliation and reimbursement of legal expenses. Because the law places great importance on protecting an occupant’s rights, even the slightest error in an eviction notice can stop an eviction in its tracks. Therefore, in deciding how to proceed, it is best to consider the various options available and develop a strategy in advance. Fortunately, California law is fairly accommodating in this regard and provides different types of notices for various fact patterns. In many situations, the grounds for eviction may overlap and allow multiple notices to be served concurrently. Knowing when and how to use these tools will dramatically increase your odds of success. 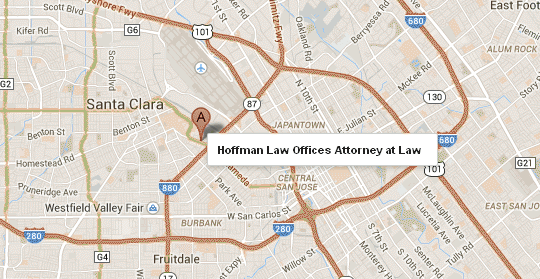 Hoffman Law Group uses its decades of expertise for the benefit of its clients. Copyright © All Rights Reserved. Disclaimer.